A key state for finding some of the cliff-edge castles we immediately envision when thinking of castles. 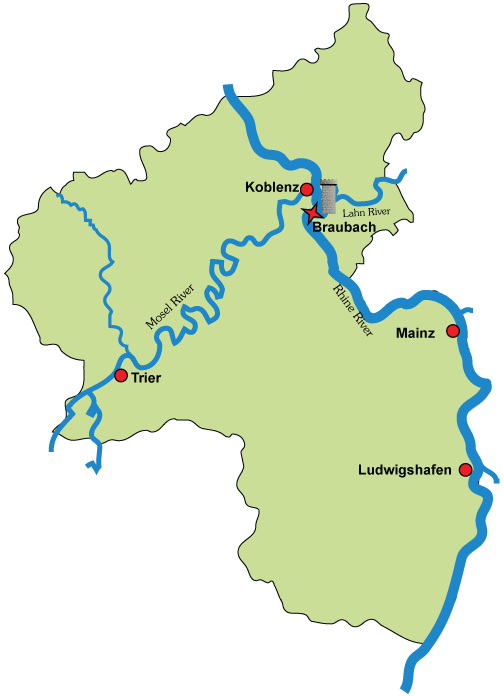 The Rhine River runs the entire South-North length of the state, and the Mösel runs West-East to the Rhine. Just a few kilometers south of where it pours into the Rhine at Koblenz, the Lahn River pours in from the East. While not as studded with castles as the Rhine and the Mösel, the Lahn is worth exploring.